Buy your tickets in advance for just $20… Enjoy 2 games, bowling shoe rental, 2 slices of pizza and a soda. Compete for the coveted ELF BOWL Trophy. Cash bar and discounted pub food. Raffles and prizes too! 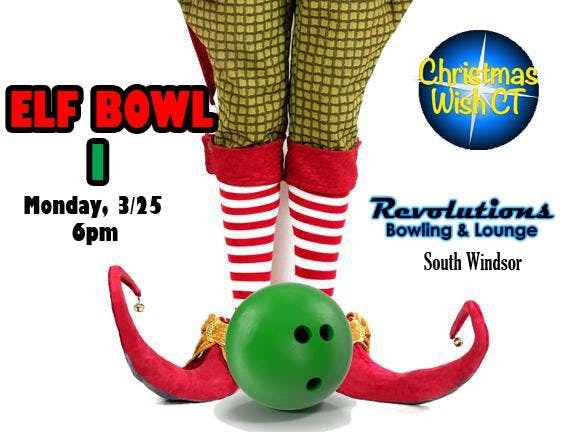 Hurry – $25 at the door and lanes are limited! If you reserve a GROUP OF SIX in advance, you’ll get your own lane!